Tales from the Den of Chaos: Monday and the weekend went fast! What is the pattern, please? 1. That's not a seamless raglan? Fooled me. 2. 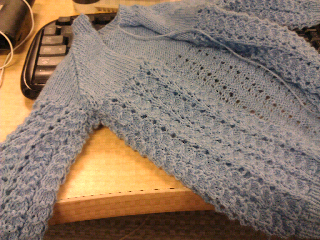 You don't block before seaming? Do you block after? Do you ever get ripples?